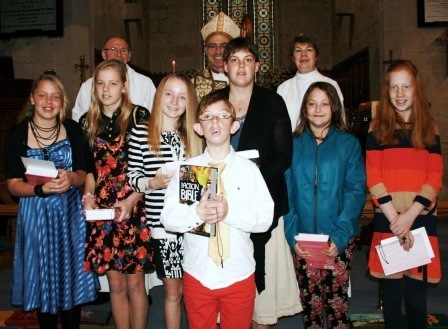 Baptisms, Christenings, Confirmations, Thanksgivings are special occasions for individuals and families. Here is the outline of ways Yass Valley Anglican Churches can assist you. Giving thanks for the birth of a child is not only a natural thing to do it is a powerful and prophetic thing to do. Thanking God, praying for their future, telling the world what your hopes and dreams are for your child is something that can never be done too soon or too often. We want to offer everyone an opportunity to be embraced by the love of God in Christ, to be encouraged in a greater understanding of that love, yet free from any pressure to be committed to or members of the Yass Valley Anglican Church. Whether you want to Baptise or Christen your child or maybe even yourself, dedicating a life to God and seeking His blessing is one of the most beautiful and life changing events you can share with your family and friends. While we earnestly believe the best place to learn about God is in the company of others who are seeking the same however attending church is not a pre-requisite. We welcome any person who wishes to consider baptism and would be most happy to discuss the process and way forward. Have a read of our Baptism of a Child Introduction Booklet and or contact us to talk it through. To find out more about Yass Valley Anglican Churches, click here.